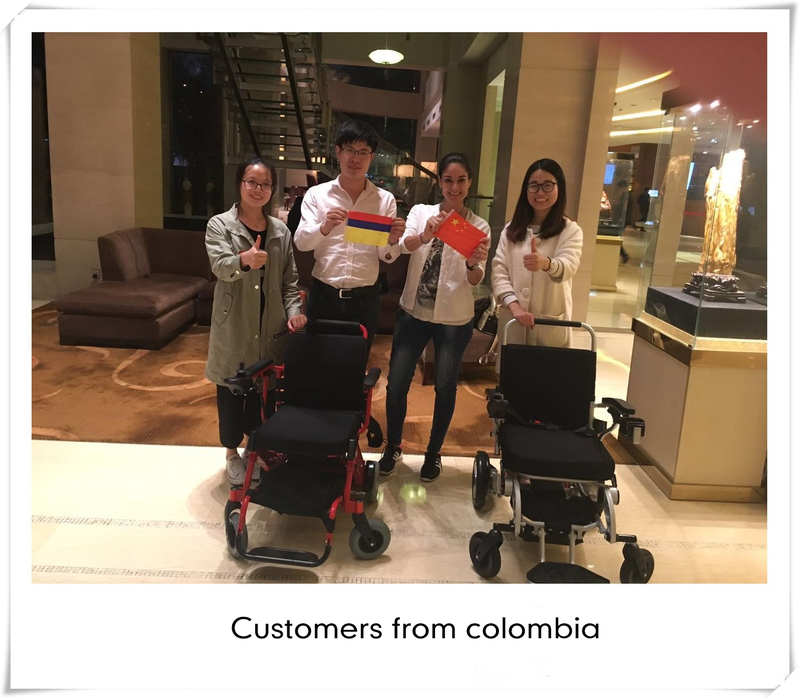 Colombian Customers Visit Suzhou Wofftown Wheelchair - electric wheelchair China Manufacturer Suzhou Wofftown Co.,Ltd. It's so excited that our customers from Colombia comes to visit us. We gave them a warm hospitality. They show great interest in our hot products WFT-D07 Foldable Lightweight Lithium Electric Power Wheelchair and WFT-A08L Heavy Duty Folding Power Electric Wheelchair. The lightweight motorized portable electric wheelchair has the unique charm. 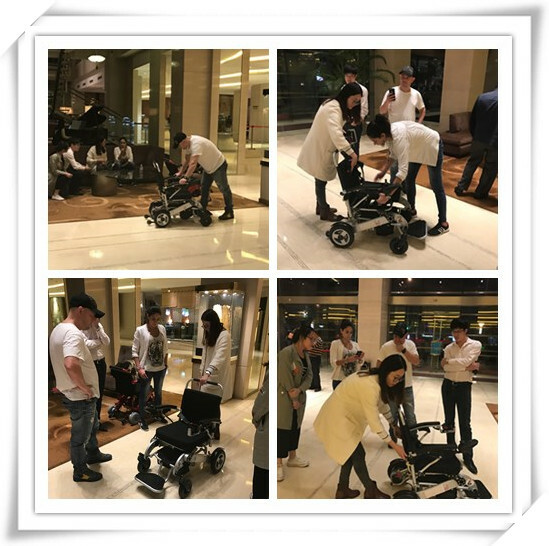 Our salesman Talia makes the detailed introduction to the customers that the WFT-D07 Foldable Lightweight Lithium Electric Power Wheelchair is supplied by Suzhou Wofftown, which is made of a durable lightweight aluminum alloy that supports passengers weight of up to 275 pounds. The chair only weighs 44 pounds which makes it convenient for transport, travel and storage. The electric wheelchair also folds and unfolds in seconds with a push of a button. The WFT-A08L Wheelchair is a wider version of our famous lightweight fast folding power chairs.Folds and opens in just 2 seconds, and it is very compact for fitting into a smaller car trunk. More powerful and quiet brushless motors with bigger rear tires (12"), which is just right without feeling bulky. The customers from Columbia recognized the profession of our salesman and the quality of our products. They willing to proceed to the next step. It will be highly appreciated if we can have more cooperation. Of course, if you are interested in our 4 wheel drive power wheelchair and want to know more ahout them, such as the wheelchair battery replacement,electric motor for wheelchair ,power wheelchair wheels,etc. feel free to email us info@wofftown.com , believe me, you are welcomed! Read More: Detail information about the power wheelchair parts.